I am all about being a tourist in my own city. 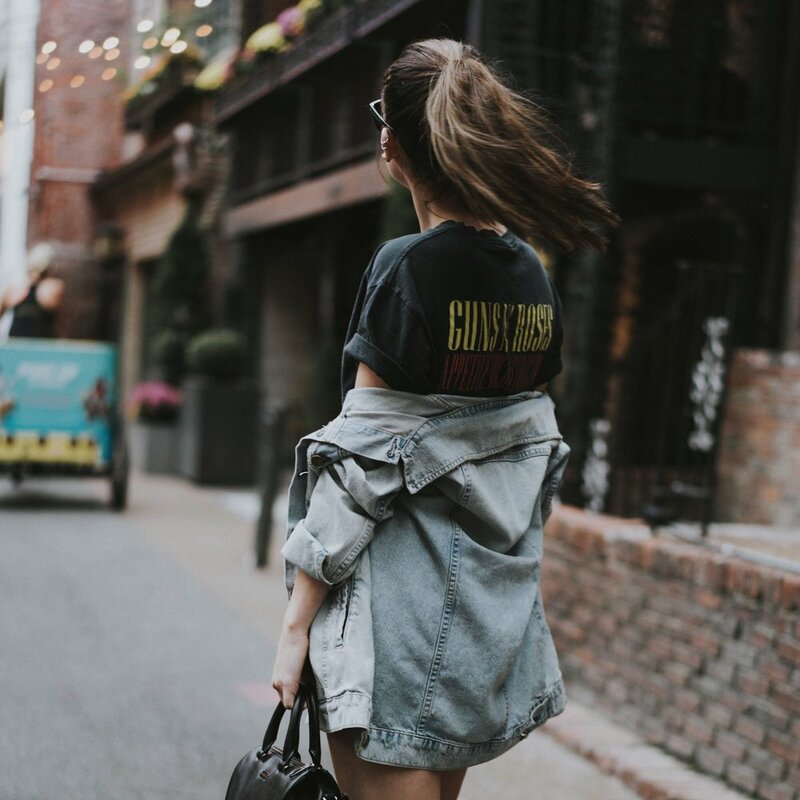 There are always people to watch, places to try, and tacky tourist traps to explore! 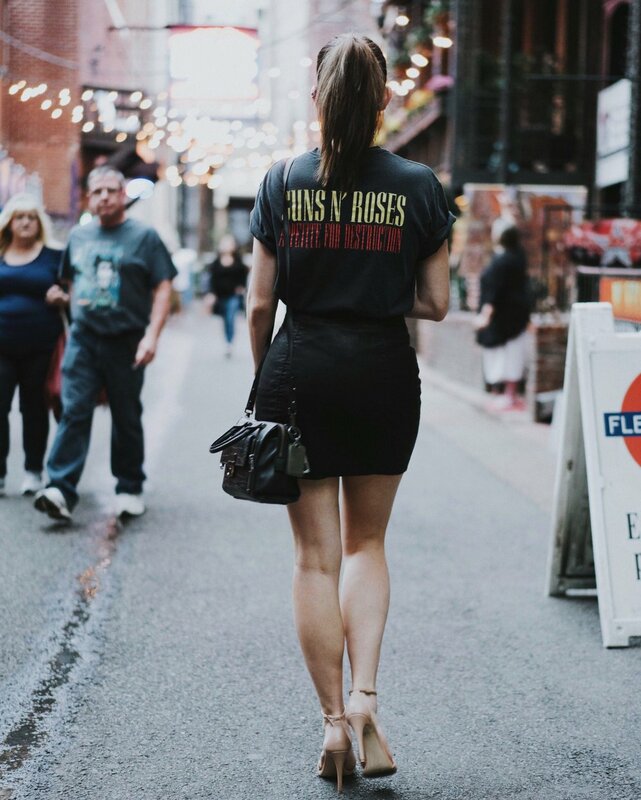 This past weekend my good friend Jessica and I decided to take a stroll down our favorite Nashville tourist trap, Printer's Alley. We had a freakin' BLAST watching street performers and artists in their element, country singing-wannabees destroy covers of Jolene and Wagon Wheel, and every tourist on their toes just in case their favorite country star decided to walk into some dirty dive bar for a downtown beer. On the real though, I love this city and if you haven't been here yet you need to make it a priority. I decided to go casual and pair my vintage Guns N Roses Tee with a leather skirt, Nudist heels by Stuart Weitzman (my favorite shoes I own fyi), and Current Elliot mechanic jacket. Trust me, there are few outfits more quintessential Morgan than this one!